“Combining both of your favorites under one 9,200 square foot roof (the world’s largest Wawa®! ), while there may not be any matches, wine or challah,​​ there will be LED candles, carbonated Grape Juice, and Soft Pretzels. We’ll also be reciting all of the Shabbat blessings, so please BYOY. Wawa® doesn’t sell them (Yarmulkes) yet. Many people consider Wawa® a sacred institution, and Jews wo​​rldwide certainly consider Shabbat to be one as well. 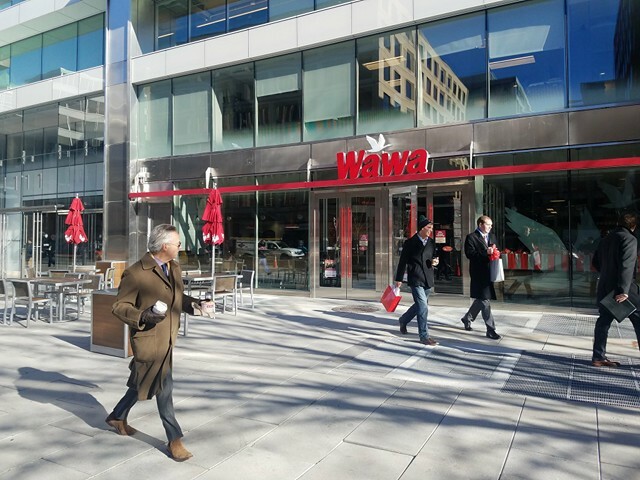 So let’s gather ’round the communal table of the first D.C. location (​​Store #6001), and celebrate with all true Wawa® fans at this ​​Shabbat of convenience. This is the world’s first ​​Wawa® Shabbawa​. Funded in part by OneTable. Funded in part by the D​.​C​.​ Commission on the Arts and Humanities, an agency supported in part by the National Endowment for the Arts. Wawa® Shabbawa is an independent production of Brian Feldman Projects, and is not affiliated with, presented, sponsored or supported by Wawa, Inc.